Huehuetenango is an area in the western highlands of Guatemala, running up to the border with Mexico and encompassing a lot of microclimates across its hills and valleys. The Pena Roja cooperative, or ‘red rock’, lies in the foothills of Pena Blanca which peaks at 3520 masl. This coffee is sweet and bright with notes of tropical fruit, a syrupy mouthfeel, and a smooth finish. 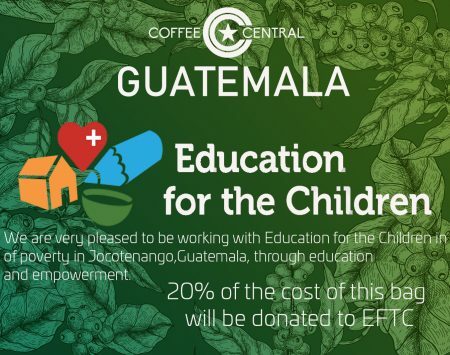 A fine example from one of Guatemala’s best-growing regions.